Plastic objects are of course found everywhere in our daily lives, but many people don’t know that there are different ways to form it for commercial or industrial use. Here are the seven most common methods, and what you need to know to decide which one is best for your next project. Plastic injection molding accounts for about 80% of the durable plastic items we find every day. Injection molding uses a mold or die made from aluminum or steel. The mold consists of a core side and a cavity side that is placed into a plastic injection molding machine. This machine heats the raw plastic resin pellets until they’re molten, injects them into the empty cavity of the mold under great pressure, and then opens to eject the finished part. Blower molding made with large capacity molding machine from Semco Plastic Co. The advantage of PIM is that millions of identical parts can be made quickly, with excellent surface finish and at low cost. 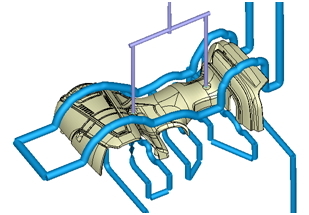 Molds however can be expensive and complex, depending on the part geometry. Careful engineering design of the mold is required to prevent defects and optimize part quality and processing speed. 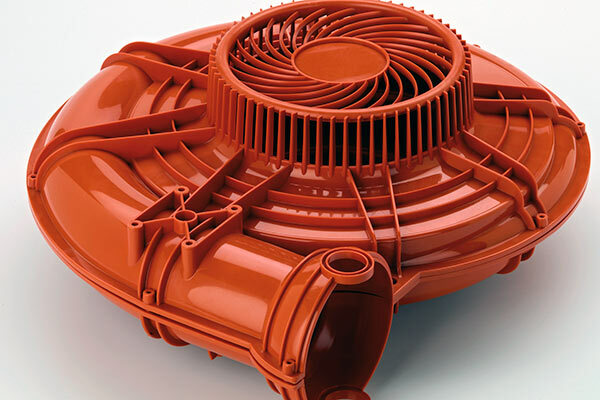 Rotational molding also uses a core and cavity mold tool, but the manufacturing process is quite different. Plastic powder is poured into the cavity of the mold, and the mold placed in an oven. While being heated, the mold is slowly rotated on two axes. Gravity is used to stick the plastic to the tool walls and build up the correct thickness. 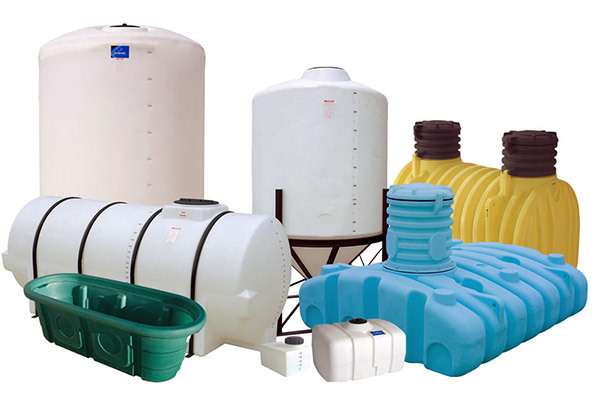 Rotational molding is best for large containers with thick walls. Then, the mold is removed from the oven and slowly cooled to prevent warpage. Full cooling can take several minutes, after which the tool is opened and the part removed for the next cycle. Rotational molding is ideal for making large, hollow or concave shapes, often for outdoor use like canoes and tubs. The finished parts are stress-free and have no seams so they’re strong, and the tools are relatively simple and inexpensive to make.The downside is that tools don’t last more than a few thousand cycles before they need to be replaced, and the part finish quality is average at best so it’s not suited for precision forming. This is the most common way to make thin-walled, inexpensive containers like disposable drinking cups or bottles. It’s fast and the tools are easy to make, but the parts cannot be very complex or made with high precision. Extrusion molding is used for plastic bottles. Molten plastic in the form of a large droplet, called a parison, is placed into a two-piece clamshell mold. After the mold closes, the parison is inflated like a balloon until it fills the empty cavity. Because the walls of the mold are water- cooled, the plastic quickly solidifies and the bottle can be ejected. During injection blow molding, gas pressure is used to force molten resin into a mold cavity. The process is easily controlled and repeatable, and is commonly used for transparent plastic drinking bottles. It makes for excellent surface quality but it’s not ideal for thin walls. 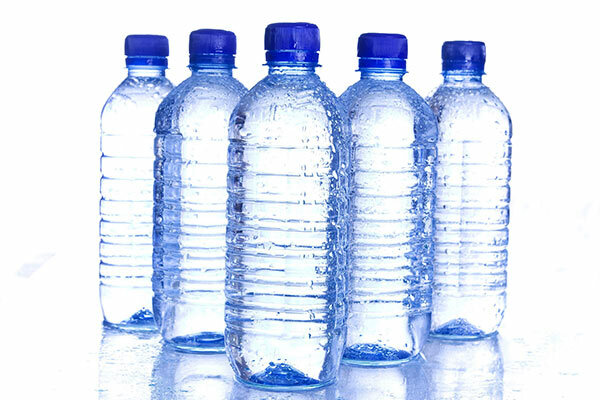 PET (polyethelene terephthalate) or PEEK (polyether-ether-ketone) are the typical choices resin choices for drinking bottles, due to their clarity and durability, and because they are rated as safe for consumables. They are also easily recycled. RIM is most often used in the automotive industry because it produces lightweight parts that have a rigid skin. This skin is easily painted to make body panels, dashboards and other car parts. However, thermoforming plastics won’t work in this process. Instead this process requires thermosetting plastic. 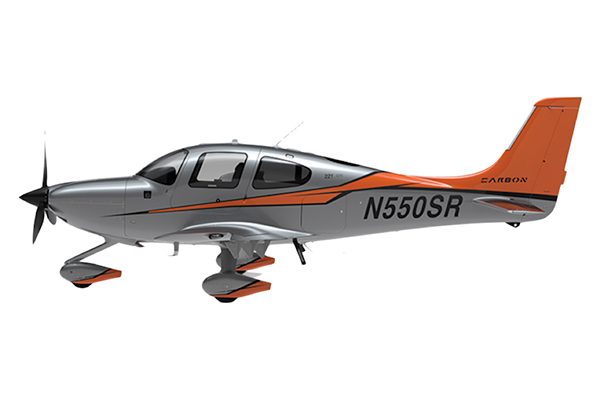 Rotational molding was used for this lightweight aircraft door. Courtesy RIM Mfg. LLC. Thermosetting plastics undergo an irreversible chemical reaction inside the mold. This usually causes them to expand like a foam, filling a mold cavity. When the chemical reaction is done the plastic sets into its final form. Tooling costs for prototypes are relatively low, while production tooling is moderately expensive. The main cost is in the material, bearing in mind that the resulting part must always be finished, usually with a urethane-based gel coat or by painting, so the process is more labor intensive which increases the piece price. Vacuum casting is a great choice for making a small number of high-quality rapid prototypes without a big investment in tools or material. 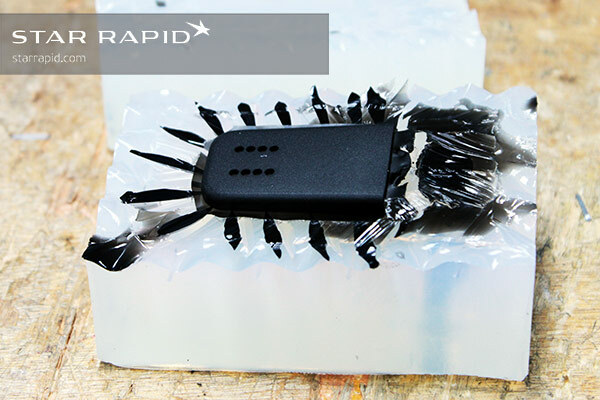 Polyurethane vacuum casting was used to make this case at Star Rapid. A master model of any rigid solid (often this is a 3D printed master pattern) is placed into a sealed box that’s then filled with a flexible urethane or silicone. When the master is removed, a cavity is formed inside the mold that can now be filled with plastic resin to form a copy of the original. Vacuum pressure is used to pull air out of the mold so that it fills completely with no air bubbles. In this process, the surface finish quality and detail are excellent and pourable resins can imitate many engineering grades of plastic. But the molds are not durable and will degrade after 20 or so copies. This is a type of vacuum forming, where thin or thick gauge plastic sheet is placed over a die, heated to a temperature that allows the material to become pliable, then is stretched over the surface of the die while vacuum pressure pulls the sheet down and into its final shape. This process can also be done with simple dies and very basic equipment. It’s often employed with samples and prototypes of thin-walled, hollow-bodied parts. 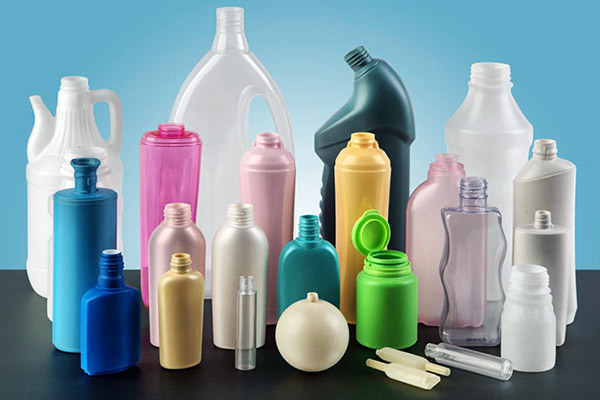 In industry, it’s used for plastic cups, lids, boxes and plastic clamshell packaging, as well as for auto body parts in thicker gauge material. Only thermoforming plastics are suitable for this process. The raw material is pre-heated and placed inside the open cavity of a die. A cap or plug is used to close the die and apply heat and pressure, causing the plastic to cure. 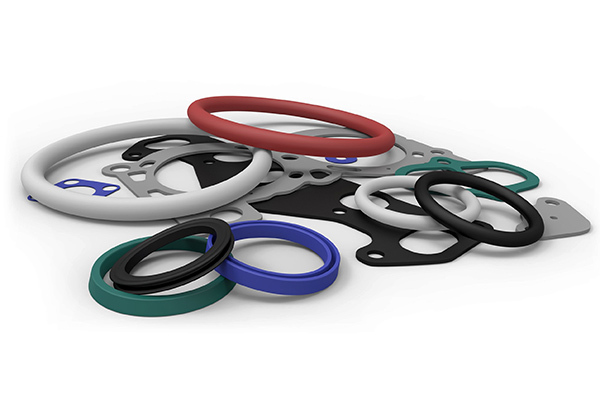 This process is great for rubber keypad switches, gaskets, O-rings and other soft, pliable thin-walled parts. It’s relatively inexpensive and wastes little material, although controlling the consistency of the finished piece can be difficult and much care needs to be taken in the preparation of the initial mold design. 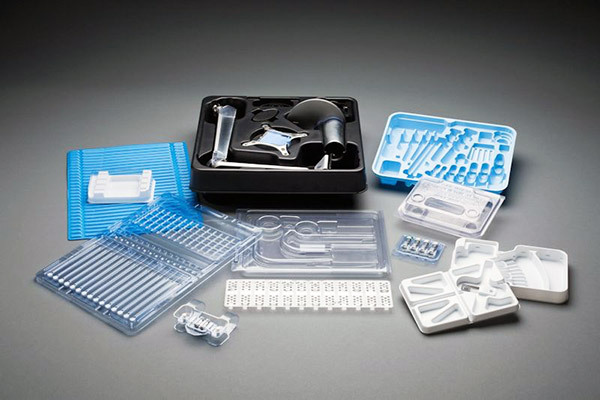 Star Rapid offers a variety of solutions to help you get exactly the plastic or rubber parts that you need for your project. Contact us today for more information and a free quote.